The club had some bad luck this year as the pipe suppling water to our incubator got plugged up with silt and we lost all of our fish. Members started looking around for other sources and Dwight D. Eisenhower National Fish Hatchery had excess fish that they would provide to the club. 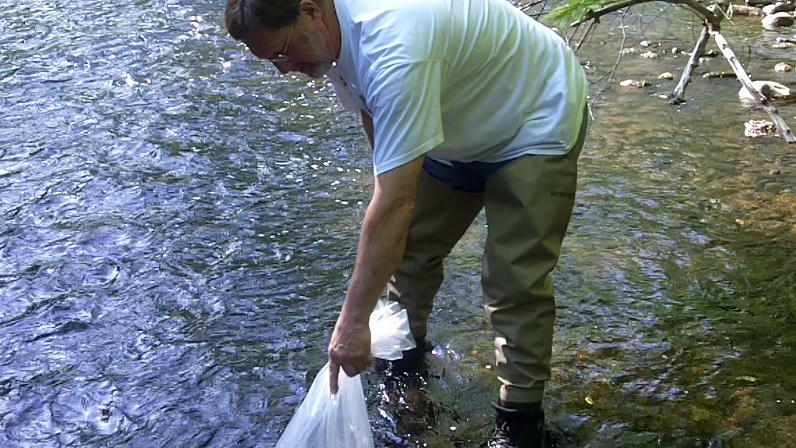 Jim and Paul traveled to North Chittenden Vermont with coolers and bags, packaged the fish and brought them back to McConnellsville for stocking on May 19. 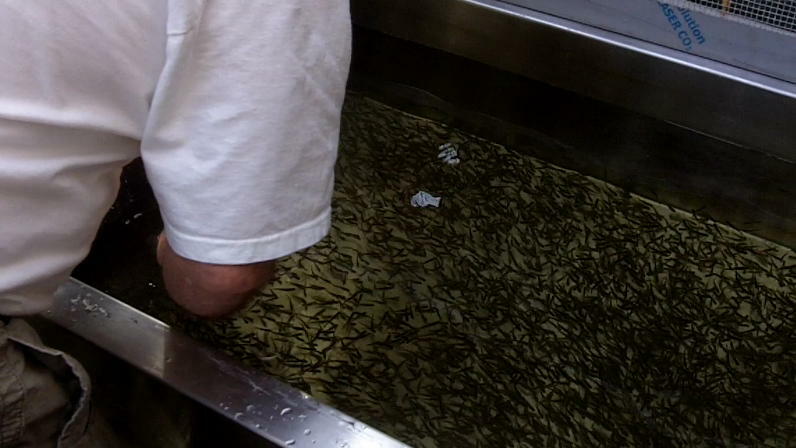 The larger fry (about 3000) were stocked immediately in Furnace creek, a tributary to the East Branch of Fish Creek. Mortality of fish during the move was low or none existent. The smaller fish were placed in one of our tanks as some still had yolk sacs attached. 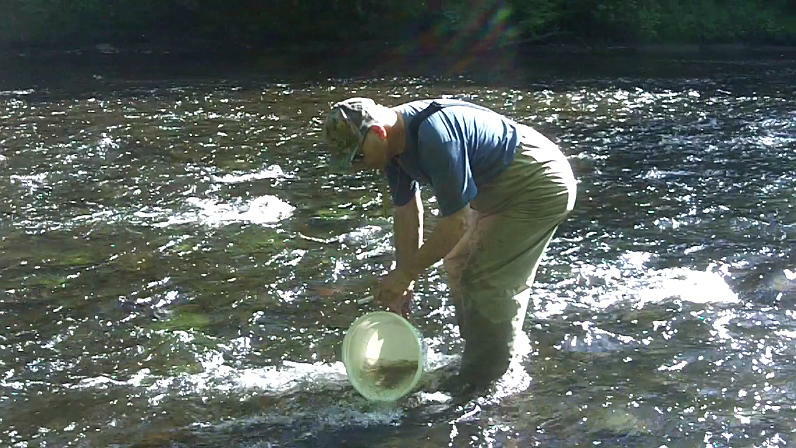 Members attended to the fish until May 28 when about 12,000 Atlantic salmon fry were stocked in the West Branch of Fish Creek. 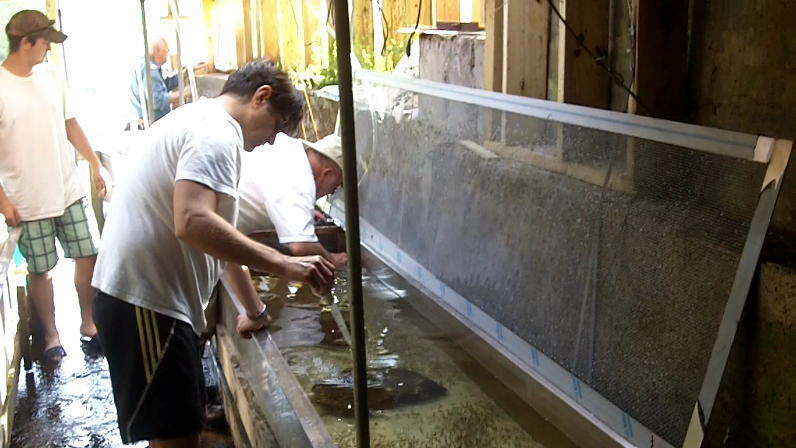 About 300 fry were left in the tank until they can be stocked by students attending the Camden Middle School on June 7. The club appreciates receiving the Atlantic salmon fry. The Dwight D. Eisenhower National Fish Hatchery is run by the U.S. Fish and Wildlife Service. Thanks. Paul is inspecting the tank for fish that may have died. Paul had help cleaning the tank from two BOCES students. Carl is here making sure the temperature of the water in the bag is the same as the river. 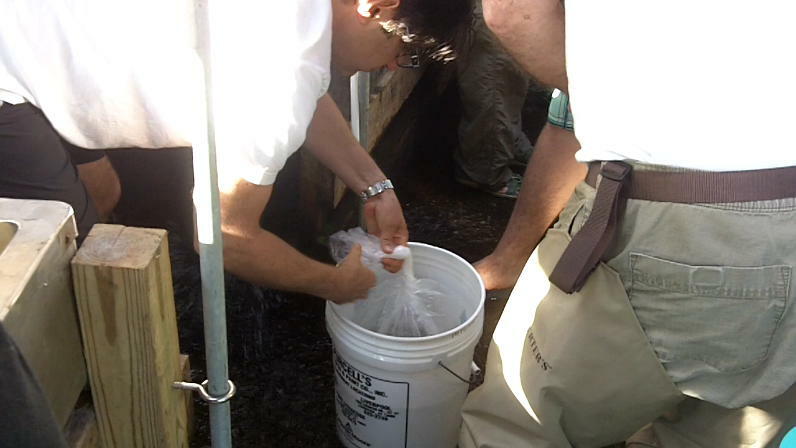 Gene is using the pour method to distribute the fish in the river.